On April 12, 1911, the weather in Lawrence had already been unseasonably humid for two days. All through the day, it was obvious that a powerful storm was brewing. Wind speeds had steadily increased, reaching forty miles per hour at noon. By that evening, a full-blown thunderstorm was underway. Seasoned Kansans knew that weather conditions such as these could foreshadow a coming tornado, and this was no exception. Five minutes before seven o’clock, in a surge of rain, the tornado dropped down. For twenty-five minutes, it passed through the city in a northeastern direction. In its path, it destroyed businesses along Massachusetts Street and homes in West and North Lawrence. Reporting on the event the next day, the Lawrence Daily Journal-World described the massive loss of property, estimated to be $200,000. The paper also estimated that repairs would cost $133,950.00, which would be over $3.5 million in today’s dollars. 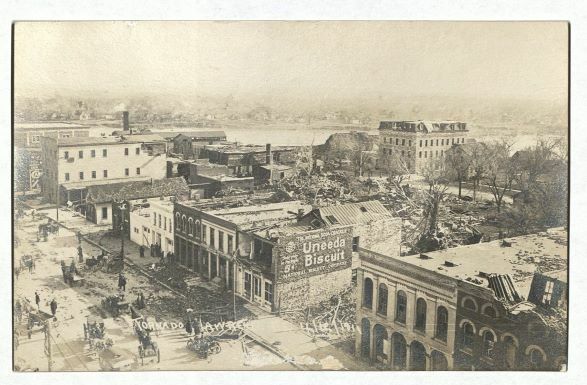 The extensive damage can be seen in the photographs included in this post, which were taken the day after the tornado. Photograph Collection. Call Number: RH PH 18 M 6:2. Click image to enlarge. 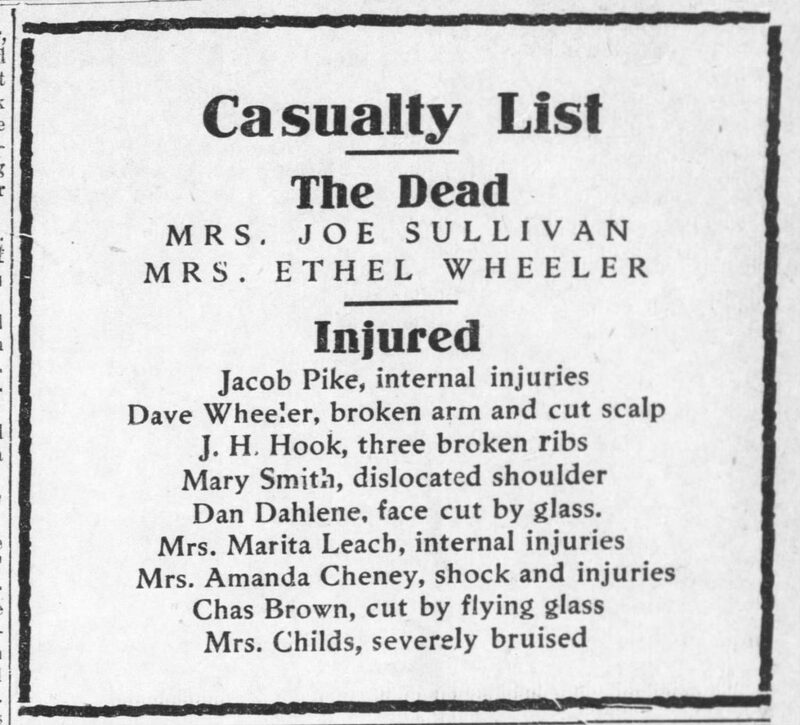 Coverage of the tornado by the Journal-World contained reports of the dead and injured. Miraculously, only two Lawrence residents perished. April 13, 1911. 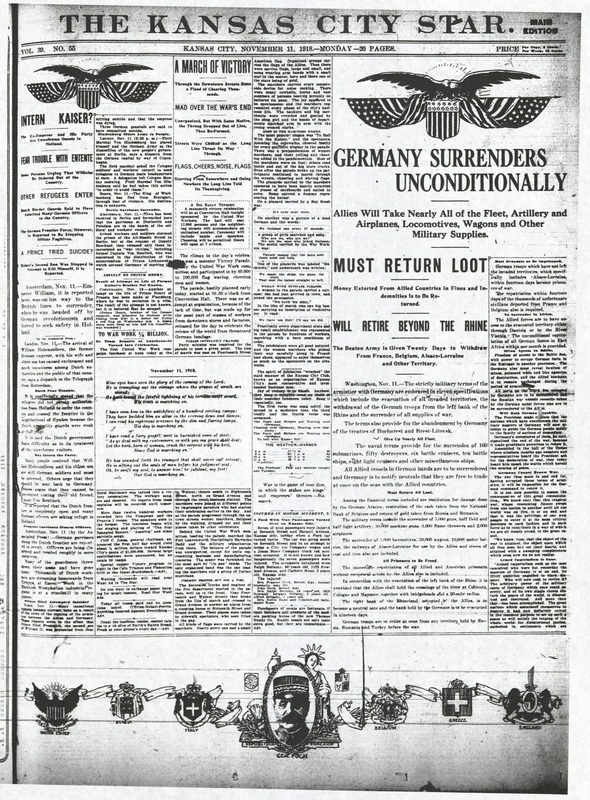 Image via Newspapers.com. Click image to enlarge. 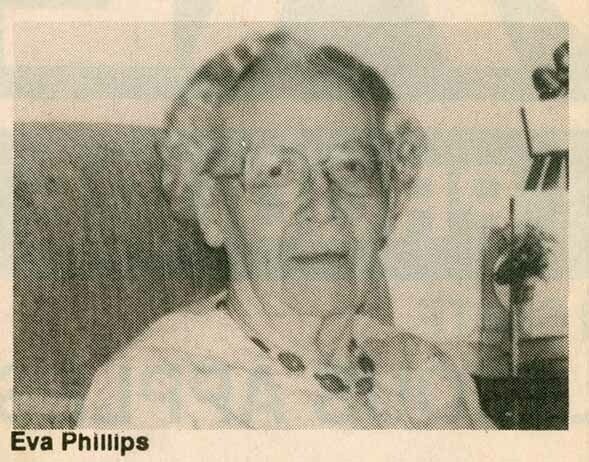 Included in the newspaper’s reports were details about the death of Margaret Sullivan, who was seventy-one years old. 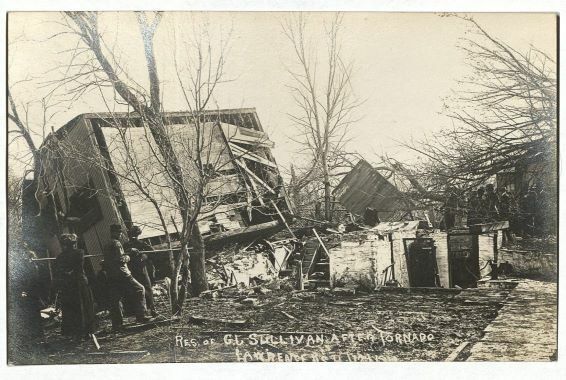 When the full violence of the storm became apparent to the inmates of the Sullivan [home], George, a crippled son called to his mother to take refuge in the cellar. Mrs. Sullivan remembered an open transom, and fearing that the rain which was falling in torrents would stain her carpet, paused to lower the sash. Before she could join her son, the house was swept from its foundation and both inmates buried beneath a pile of wreckage. 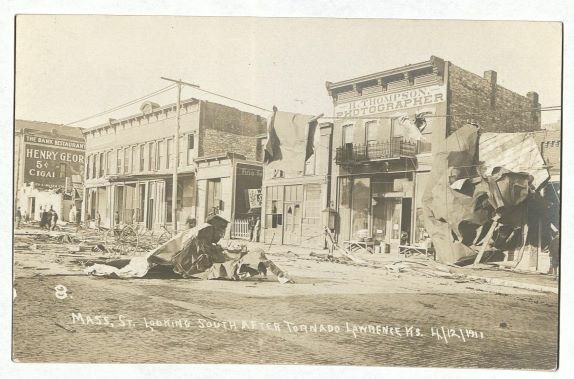 636 Illinois Street, the home of Mrs. Joe Sullivan, after the tornado, April 13, 1911. Lawrence Photograph Collection. Call Number: RH PH 18 M 6:21. Click image to enlarge. The Journal-World also provided detailed information about the death of Ethel Wheeler, who worked as a “domestic” on the Doubleday farm southwest of town. The Doubleday farm was in the very vortex of the tornado. 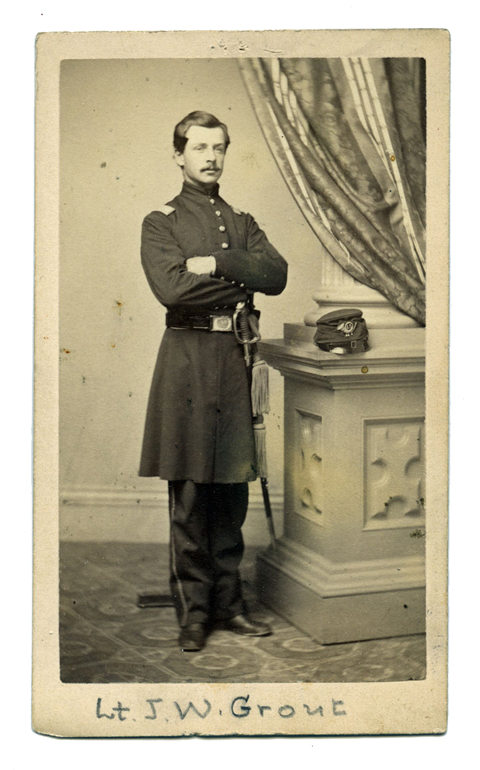 [Mrs. Wheeler] lived with her husband in a small annex to the chicken house not fifty feet from the Doubleday home. Just as the woman left the house to go to this small room in which she and her husband lodged, the Doubleday’s heard a terrific crash as the Sibley barn was blown against the farmer’s house a quarter of a mile away. An instant later, their own home was bombarded with flying wreckage, and looking towards the window they saw two faces pressed close against the glass. The faces were those of Phil Olmstead and Joe Badsky, who had been blown from, they did not know where. They were admitted to the Doubleday home, and with the passage of the tornado a few minutes later, they began searching for two Wheelers. The little room the latter had occupied was merely a heap of heavy timber. Searching in its vicinity with an electric flash light, Floyd Doubleday heard a faint moan coming from beneath the tangled mass of wreckage. With the aid of the two lads, this was lifted up and Dave Wheeler released. He could only moan pitifully and ask brokenly for his wife. His injuries consisted of a compound fracture of the arm, serious internal hurts, and severe scalp wounds. [Dave and Ethel Wheeler] were married last October and came to Lawrence only three weeks ago. photography studio was at 615 Massachusetts, where Quinton’s Bar and Deli is located now. Lawrence Photograph Collection. Call Number: RH PH 18 M 6:3. Click image to enlarge. 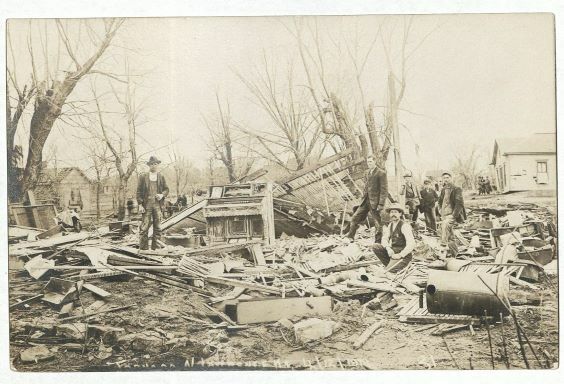 The ruins of an unidentified Lawrence home after the tornado, April 13, 1911. Lawrence Photograph Collection. Call Number: RH PH 18 M 6:19. Click image to enlarge. The Carl N. and Dorothy H. Shull Collection of Hymnals and Music Books, housed in Kenneth Spencer Research Library, includes bound volumes of sheet music. 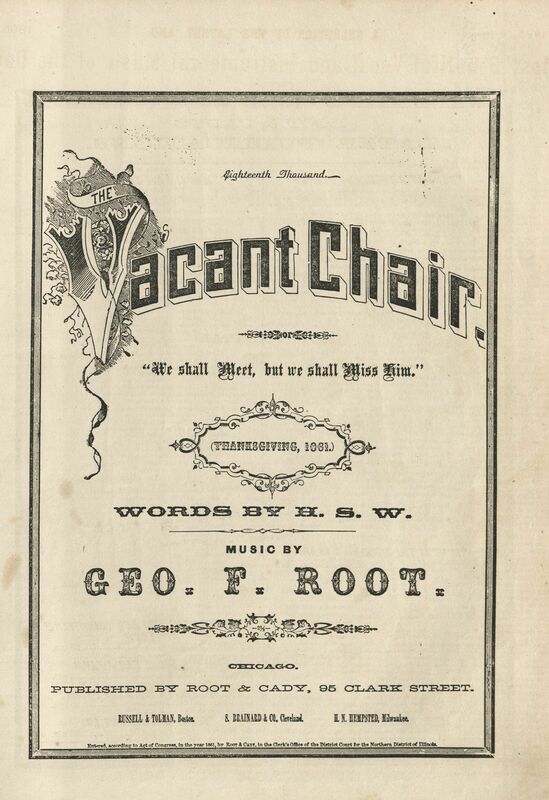 One of those songs is “The Vacant Chair,” with lyrics written by poet Henry Stevenson Washburn (H.S.W. ), and set to music by George F. Root. Henry Stevenson Washburn was born on June 10, 1813. He spent his childhood in Kingston, Massachusetts. Throughout his career, he was in manufacturing, was president of Union Mutual Life Insurance Company, and served as both a state representative and state senator. Best remembered for his poetry, he published a book of his collected works in 1895, at the age of 82. Washburn, Henry S. The Vacant Chair and Other Poems. New York: Silver, Burdett and Company, 1895, frontispiece portrait detail. Image from copy obtained via InterLibrary Loan. by C.R.B. Claflin, Worcester, August 1861. American Antiquarian Society. Image included in Almanac: American Antiquarian Society Newsletter. No. 81 (March 2011), p. 6. Recording artist, Kathy Mattea, recorded her version of “The Vacant Chair,” and it is available for listening on You Tube. We shall linger to caress him when we breathe our evening prayer. And uphold our country’s honor, in the strength of manhood’s might. But this soothes the anguish only sweeping o’er our heartstrings now. Dirges from the pine and cypress mingle with the tears we shed. In the fall of 1918, at the height of American involvement in World War I, the United States War Department established the Students’ Army Training Corps (S.A.T.C.). The University of Kansas, along with colleges and universities across the country, contracted with the government to make its facilities available for officer training. KU agreed to provide education, food and housing for up to 2,500 men. Members of KU’s S.A.T.C. in front of the Administration Building (Strong Hall), 1918. Military Service and ROTC (Photos). Click image to enlarge. Shortly after the first group of S.A.T.C. 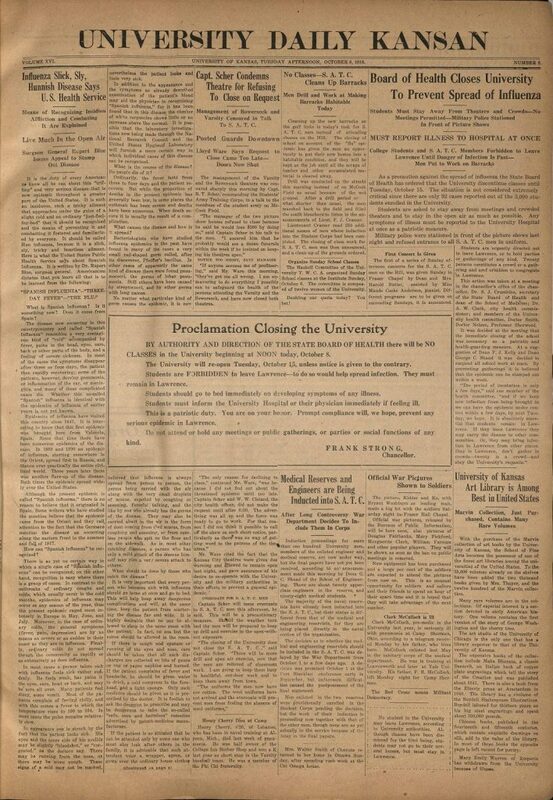 servicemen were sworn in on October 1st, the influenza epidemic that had been sweeping across the country and world arrived in Lawrence. In the S.A.T.C. 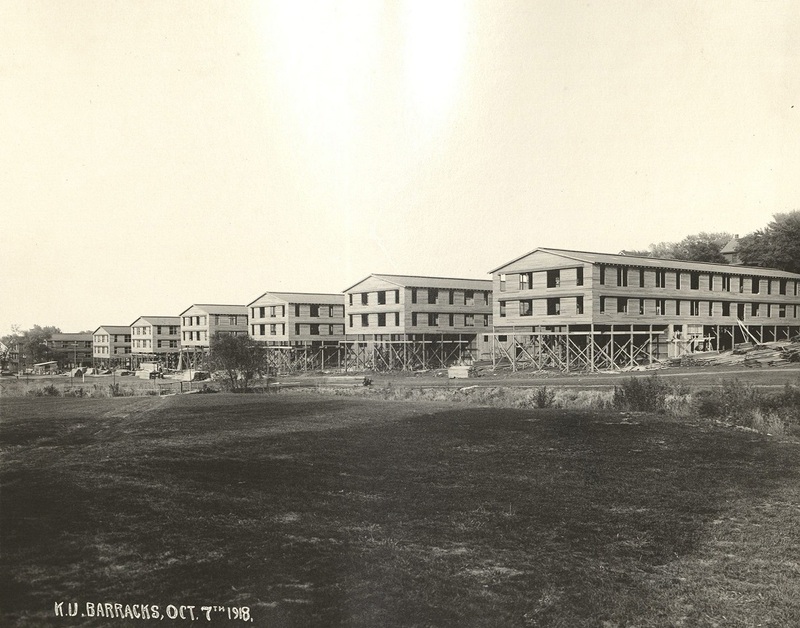 barracks, where servicemen were living in very close quarters, the disease spread rapidly. Campus: Buildings: S.A.T.C. Barracks (Photos). Click image to enlarge. The severity of the outbreak on campus, both in the S.A.T.C. barracks and throughout the university community, lead to the October 8th cancellation of all University activities and the quarantine of all students. By the time the epidemic subsided and the university re-opened five weeks later, on November 11th, it was estimated that there had been as many as 1,000 cases of flu on campus. As many as 750 had been ill all at once. Twenty-two students and ten members of the S.A.T.C. had died. Student enrollment was approximately 4,000 at the time. the virus, a quarantine forbidding students from leaving campus was also imposed. November 11th. University Archives. Call Number: UA Ser 9/2/1. Click image to enlarge. 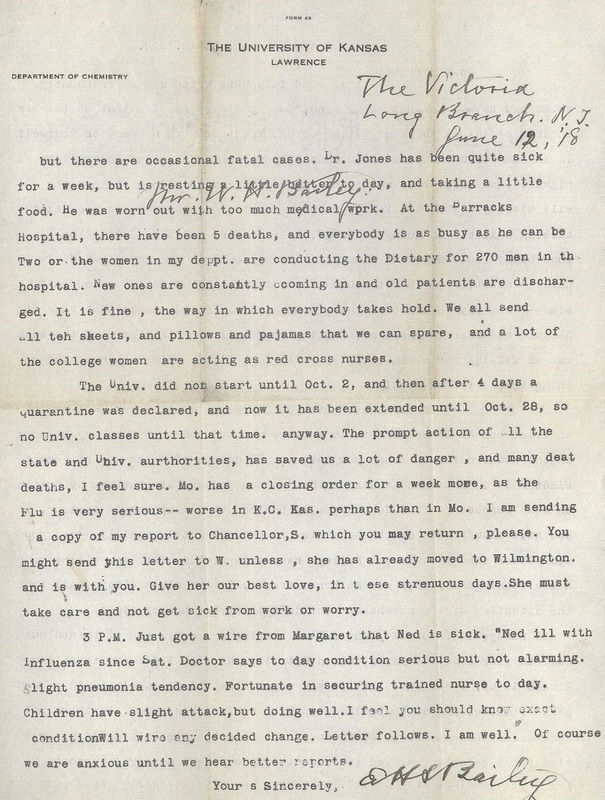 In an October 18th letter to his son Herbert, E.H.S. Bailey (KU Professor of Chemistry, Mineralogy and Metallurgy, 1883-1933) describes efforts to treat influenza patients at the university. E.H.S. 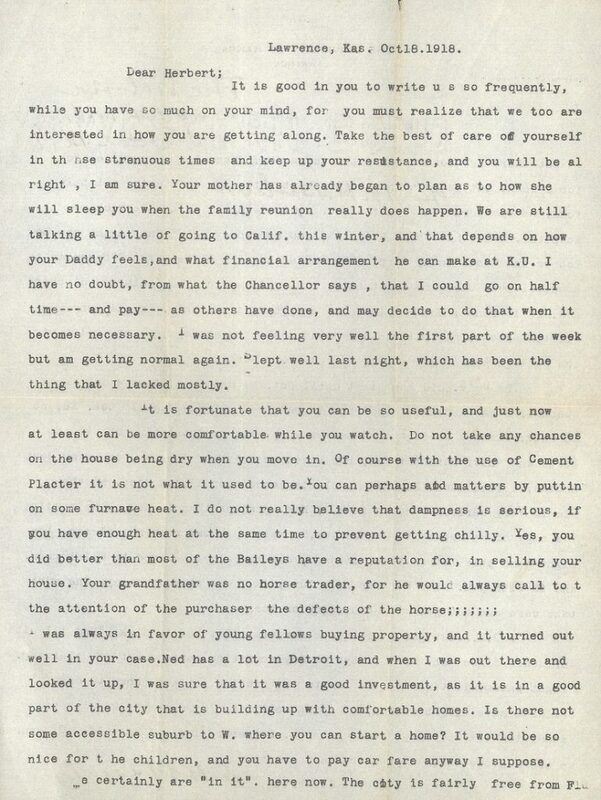 Bailey’s letter to his son Herbert, October 18, 1918. Call Number: PP 158. Click images to enlarge. We are certainly “in it” here now. The city is fairly free from Flu but there are occasional fatal cases. Dr. Jones has been quite sick for a week, but is resting a little better today, and taking a little food. He was worn out with too much medical work. At the Barracks Hospital, there have been 5 deaths, and everybody is as busy as he can be. Two of the women in my dept. are conducting the Dietary for 270 men in the hospital. New ones are constantly coming in and old patients are discharged. It is fine, the way in which everybody takes hold. We all send all the sheets, and pillows and pajamas that we can spare, and a lot of the college women are acting as red cross nurses. The University did not start until Oct. 2, and then after 4 days a quarantine was declared, and now it has been extended until Oct. 28, so no Univ. classes until that time. The prompt action of all the state and Univ. authorities, has saved us a lot of danger, and many deaths, I feel sure. These and other documents and photographs about the influenza epidemic at KU are currently on display in Spencer’s North Gallery. Be sure to stop by and explore them between now and the end of October! If it’s August, then it must be time for school to resume! 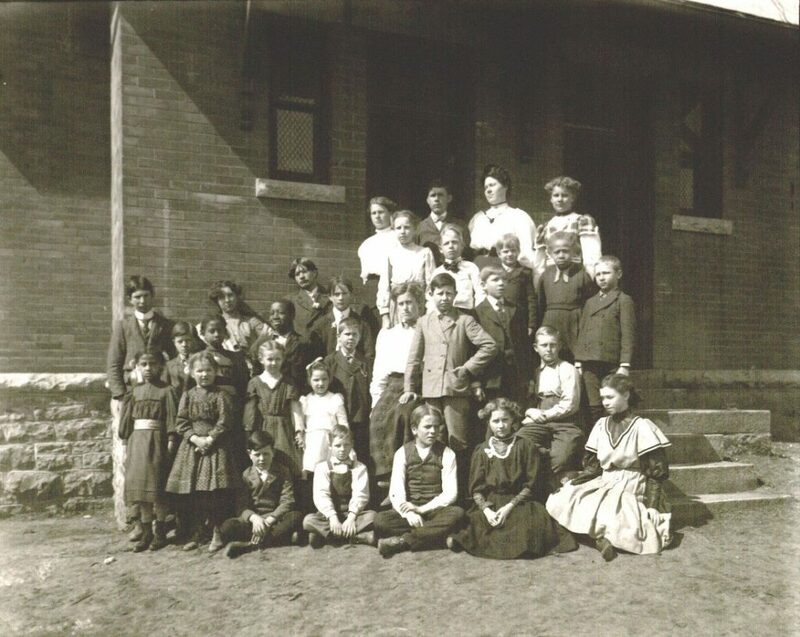 The earliest settlers in what would become Lawrence, Kansas, also wanted school to begin, and as quickly as feasibly possible. The first immigrant party arrived at the town site in August 1854. It was made up of twenty-nine men, all members of the New England Emigrant Aid Company, the mission of which was to ensure that slavery would be illegal in Kansas when it became a state. Specifically written into their original petition was the provision that immigrants coming to Kansas Territory would be provided with public education. True to their word, Lawrence’s founders held the first public classes on January 15, 1855, just five months after their arrival. 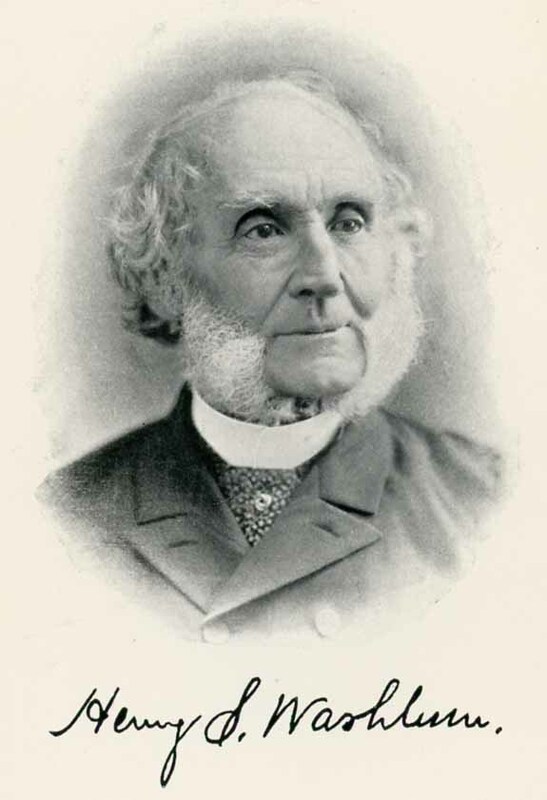 Edward P. Fitch of Hopkinton, Massachusetts, was the first teacher. Estimates of the number of students in that first class vary between eight and twenty. of the Douglas County Historical Society, Watkins Museum of History. Used with permission from Roger Fitch. Click image to enlarge. The second teacher was Kate Kellogg, and unfortunately no photo of her is available. Kate returned east after her marriage. 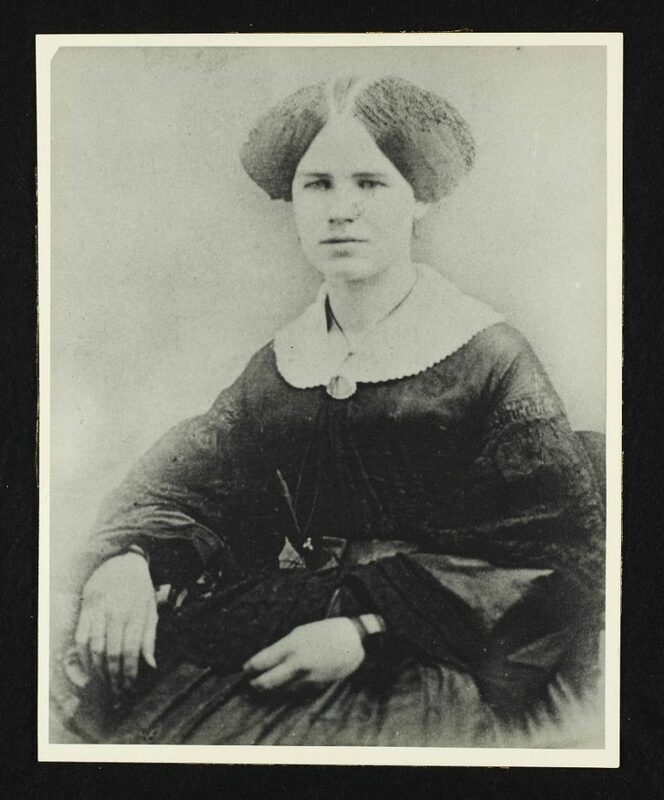 She was followed by Lucy Wilder, who held a teaching position in Lawrence for many years. Lucy came to Kansas in 1855 with her father, Abram Wilder. Lucy Wilder, the third teacher in Lawrence, undated. Lawrence Photo Collection. Call Number: RH PH 18 K:140. Click image to enlarge. 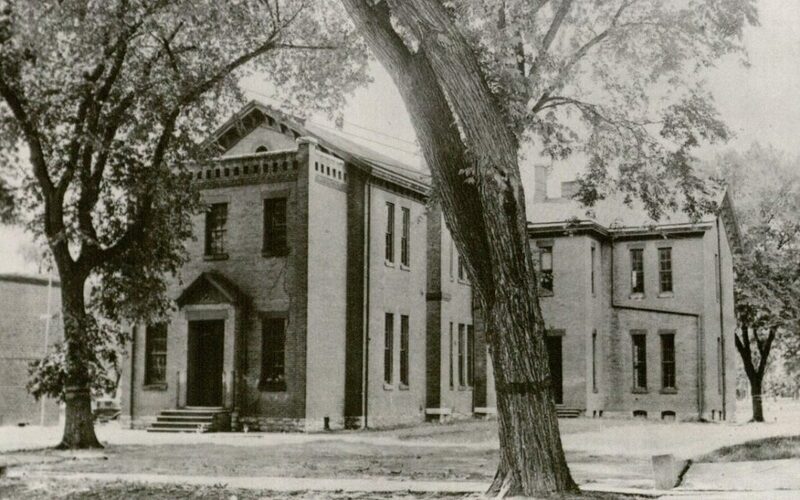 The first public high school in Kansas was Quincy School, established in Lawrence in March 1857. The school building was constructed ten years later at 11th and Vermont Streets. It was possibly named in honor of Edmund Quincy, a benefactor of the New England Emigrant Aid Company. By 1876 this high school was one of four university-accredited schools in the state. An Informal History by David Dary, page 272. Call Number: RH D9258. 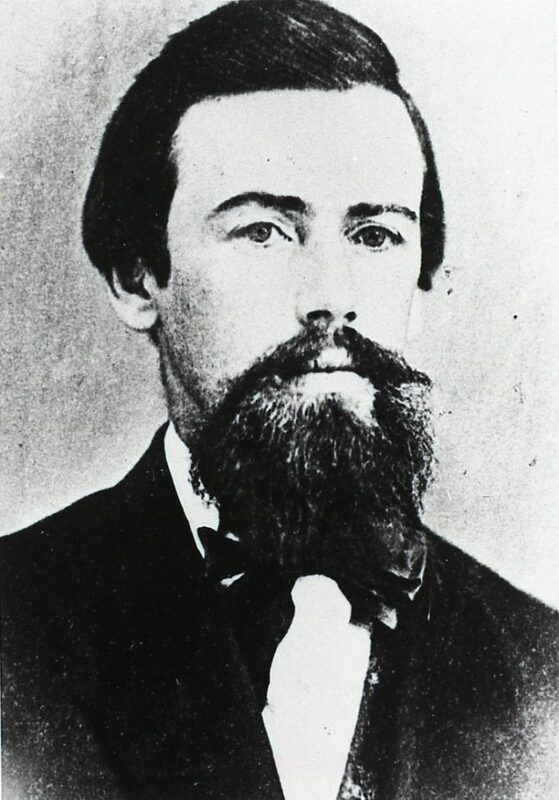 Credited to the Kansas Historical Society. Click image to enlarge. In addition to the schools located within the city limits of Lawrence, there have been as many as eighty-three rural schools located throughout Douglas County. 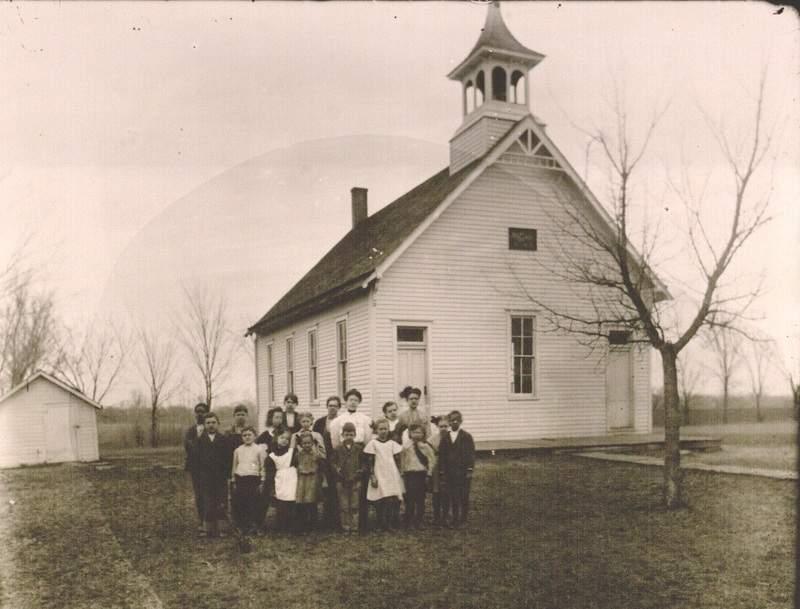 With a few exceptions, most were one-room buildings that served as community centers and church meeting places as well as classrooms. The last rural school, Twin Mound No. 32, closed its doors in 1966, more than one hundred years after the first school opened. Photo Collection. Call Number: RH PH 500.1:47. Click image to enlarge. Photo Collection. Call Number: RH PH 500.1:60. Click image to enlarge. 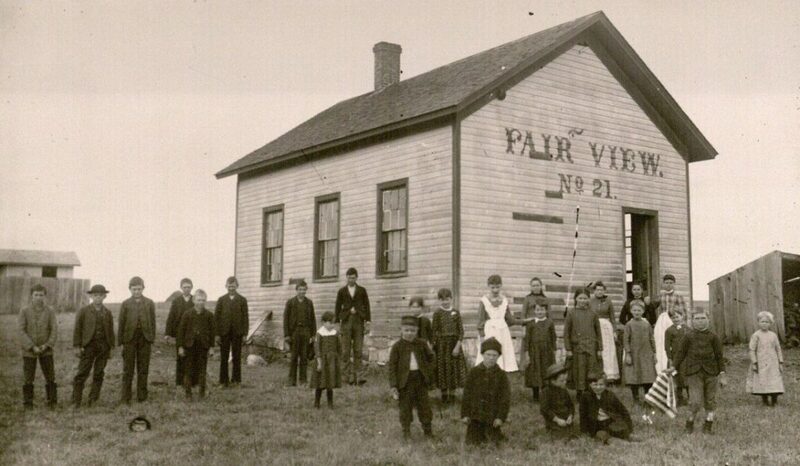 Fairview School No. 21, undated. Shane-Thompson Photo Collection. Call Number: RH PH 500.1:58. Click image to enlarge. Photo Collection. Call Number: RH PH 500.1:62. Click image to enlarge. 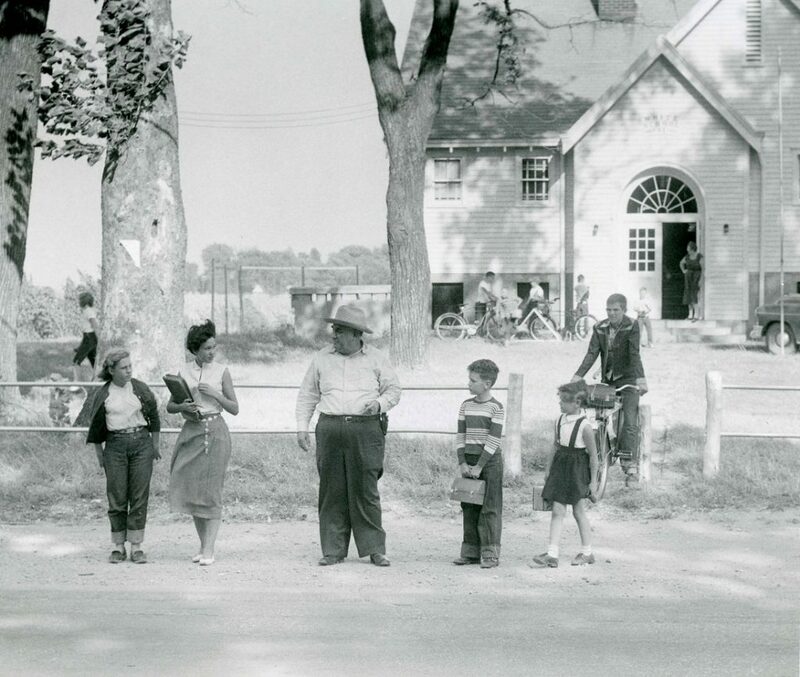 White School, District 61, September 14, 1955. Lawrence Journal-World Photo Collection. Call Number: RH PH LJW 9.14.55. Click image to enlarge. Crafton, Allen. Free State Fortress: The First Ten Years of the History of Lawrence, Kansas. Lawrence: The World Company, 1954. Call Number: UA C79. Daniels, Goldie Piper. 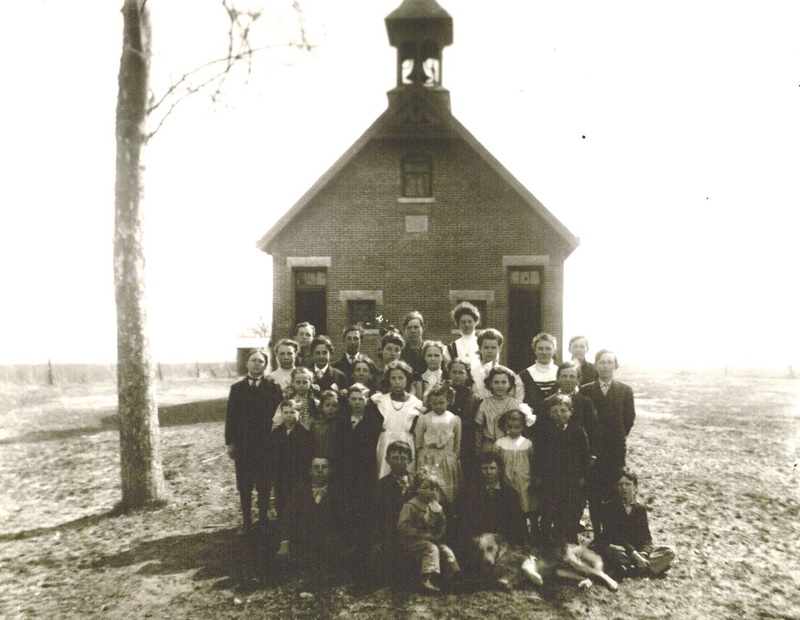 Rural Schools and Schoolhouses of Douglas County, Kansas. Baldwin City, Kansas: Telegraphics, 1975? Call Number: RH D5195. Dary, David. Lawrence, Douglas County, Kansas: An Informal History. Lawrence: Allen Books, 1982. Call Number: RH D9258. Kansas Women Schoolteachers Project records. Call Number: RH MS 872. 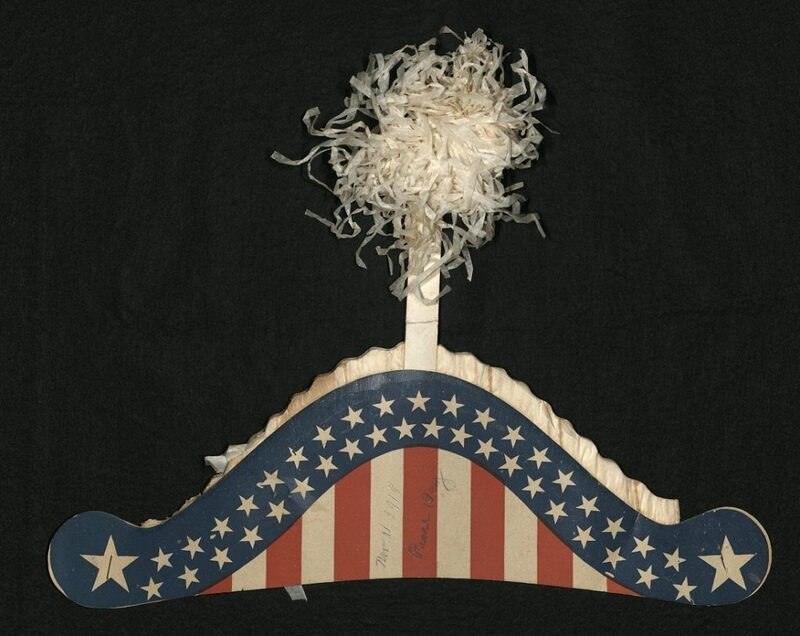 Kansas Collection, Kenneth Spencer Research Library.